We can fabricate a flexible container for your specific needs. 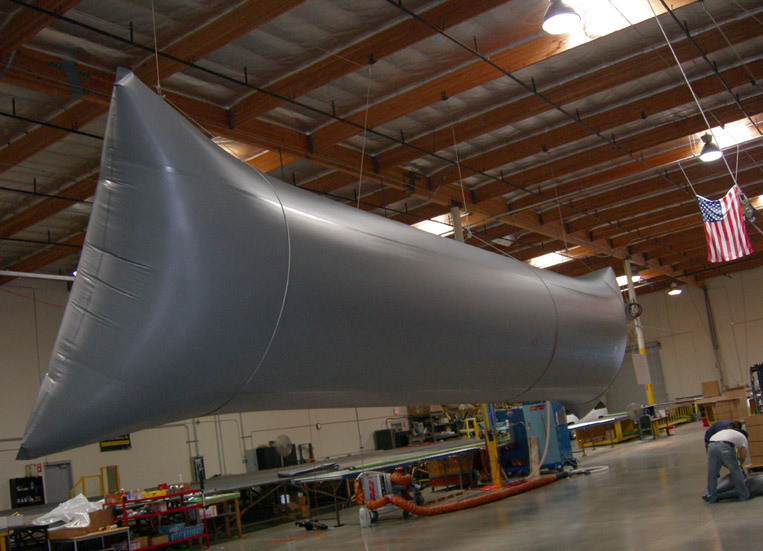 Over the years we have fabricated many custom tanks that others wouldn’t or couldn’t. We have built custom Flexitanks for reefers, 40′ & 53′ containers, fuel tanks for airplanes and commercial fishing vessels. Give us a call and see what we can do for you!!! FlexAttack Transport Flexitanks have been tried and tested over the last two decades. We utilize a wide range of durable and environmentally friendly materials that have proven reliable after years of use for specific commodities and trade lanes. We’ll create whatever you need for your project! We have 3 options for Transport Flexitanks. 24,000 Liter Standard Commodity Flexitank – Lubes and Bulk Wine – Standard NET Load 48-52,000 lbs dependent on tractor trailer weights. Convert 40′ Cans into large static storage tanks for temporary bulk storage solutions: Easy to ship and re-locate – when not in use, Flexitank can be rolled up and container used for storage or whatever and when you need bulk liquid storage, install Flexitank and load with up 14,000 Gallons of product!!! 3. Truck Bed & Dry Van Flexitanks – 40′, 48′ & 53′ trailers – Haul dry and liquid goods with your fleet! FlexAttack can fabricate custom flatbed or standard dry van Fleixtanks that can be re-used multiple times and approved for all kinds of products from lubes to wines to specialty chemicals. 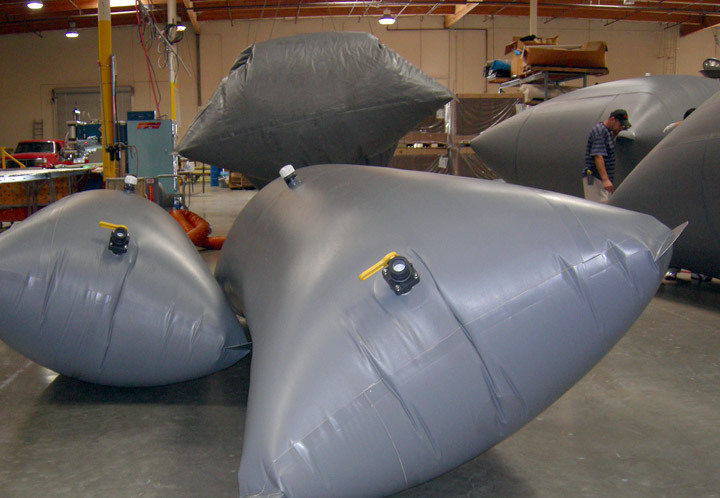 FlexAttack’s Static Storage Flexitanks have been used by the US Military, US Forest Service, and US Coast Guard. We have also filled special orders from Foreign Militaries in Colombia, Chile and Spain, among others. Our Static Storage Flexitanks are perfect for storing fuels such as diesel, JP8, JP1, AV gas (aviation fuel), Diesel #2 and petrol. They can also be used for water, chemicals and/or foodstuffs – anything you might need at a remote job site. 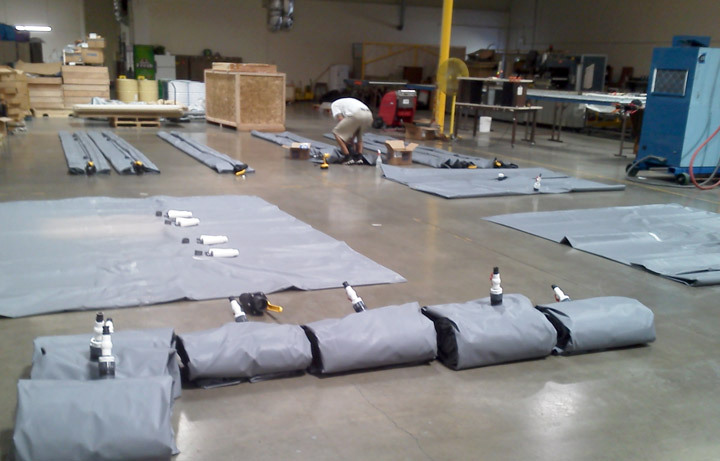 The majority of FlexAttacks Static Storage Flexitanks are constructed using 33oz & 40+oz US Military Approved TPU. Tan in color and with Nylon Scrim for strength and durability. Average life is 3-5 years of standard use. All products to be stored in FlexAttacks Flexitanks MUST be approved by FlexAttack. MSDS and Samples may be required. 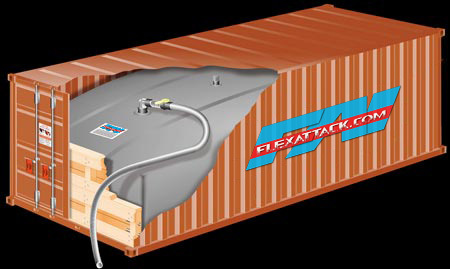 Call FlexAttack today for your next Flexitank! All FlexAttack Flexitanks are built to order and are Customer Specific. 2″ or 3″ options along with different selections of Approved Thermoplastics based on project needs and applications ranging from 18 oz to 60 oz, as well as films from 6mm and non-traditional coated fabrics such as Kevlar and Nomax. FlexAttack has over a dozen approved materials for all kinds of liquids from standard lube oil to fuels to acids.